Get this free printable hot air balloon set to use at your next party! Get these free watermelon printables for your next party! Get these free pineapple printables for your next party! Get these free giraffe printables for your next party! Get these free lion printables for your next party! Free party printables featuring cute ocean animals. These would work great for an under the sea themed birthday party, baby shower, or other fun summer celebration. This set includes 4.5x7 inch bunting banners, gift tags, stickers/labels, and cupcake toppers. Free party printables featuring Peter Rabbit. These would work great for a sweet baby shower, child's birthday party, tea or garden party. 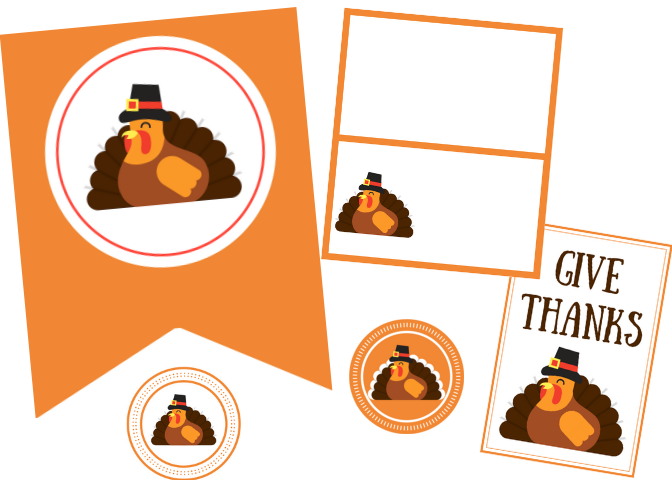 This set includes 9x7 inch banners, gift tags, stickers/labels, and cupcake toppers.